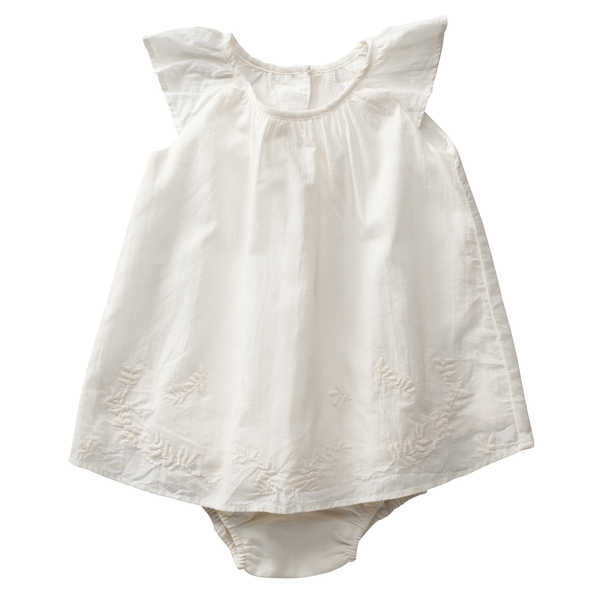 This soft organic cotton dress is accompanied by a separate pair of bloomers. The dress features beautiful fern embroidery on the hem. Made from 100% organic cotton. Machine washable. Available in sizes 0 – 2.